Ten years ago, the global financial system teetered dangerously on the edge of total collapse. What began as a subprime mortgage crisis in the United States developed into a full-blown meltdown, causing the collapse of major banks worldwide. Could a crash of that magnitude happen again? HBS faculty have been researching the root causes and consequences of the crisis in the intervening decade, helping to shape our understanding of the economic and financial forces that brought us to the brink. As the faculty prepare to discuss their work at next month’s on-campus conference, The Global Financial Crisis: What We Learned, Where We’re Headed, we offer a look at the research-driven insights that could help better position us when the next downturn hits—and the questions we still need to be asking. 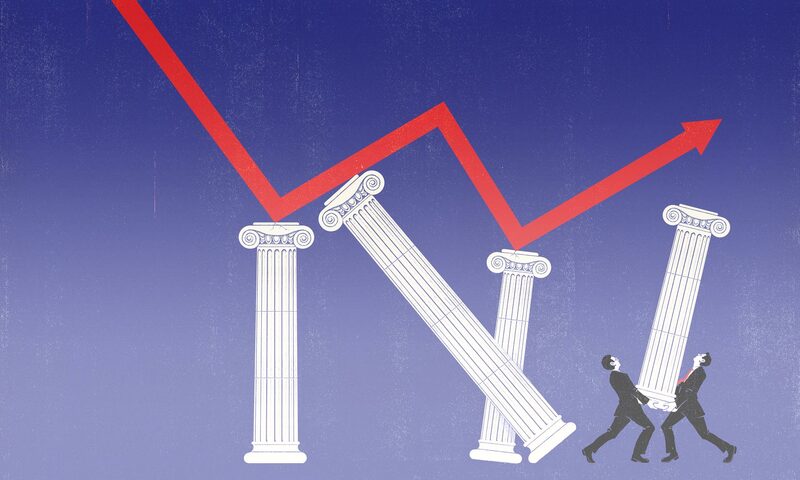 When searching out the causes of the 2008 financial crisis, Professor Robin Greenwood says one needs to look to the root of nearly every crisis: human behavior. With his focus on behavioral finance, Greenwood wears the hats of both an historian and a psychologist. From that perspective, he says the 2008 crisis can be seen through the lenses of bad beliefs and bad incentives—the latter being the idea that there was a common understanding of risk in the financial system, but people were motivated to ignore the evidence. “Across the board there were a lot of errors in beliefs,” Greenwood says, chalking it up to an abundance of optimism. Before the crisis, for instance, the “Armageddon scenario” for housing price growth in 2006 was a 5 percent drop. During the lowest point of the crisis, housing prices fell by 31.8 percent. 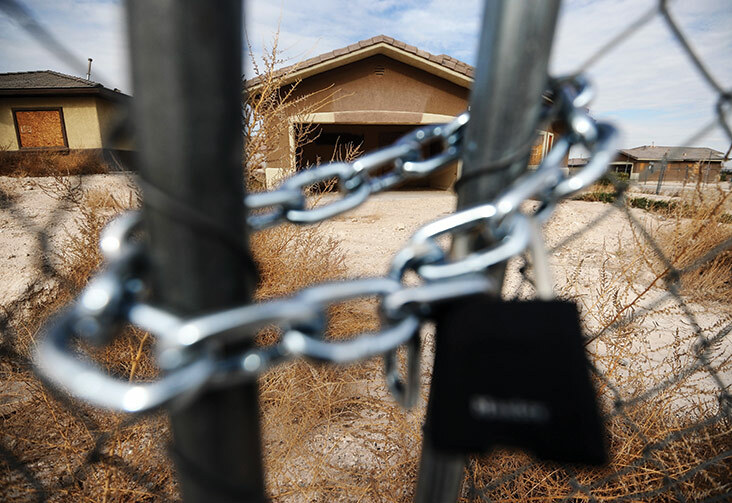 This false optimism was built up over time as mortgage-backed securities were greatly overvalued, giving investors and bank CEOs a false sense of security. “The bank CEOs who suffered the worst losses were pretty much wiped out by the crisis, not to mention humiliated,” Greenwood says, noting that these leaders were acting on what they believed to be true, rather than taking irresponsible risks, not seeing they were in any real danger until it was too late. Public pension funds, on the other hand, were the victims of bad incentives. Those funds were incentivized to make riskier investments, enabling them to forecast higher returns and discount reported liabilities at a higher rate, making the funds appear less under-funded than they were. “The cycles of optimism and pessimism in financial markets will always exist,” Greenwood says, “but we can help people make better informed decisions using data and make the system more resilient, limiting the consequences of bad decisions.” One such effort is the Behavioral Finance and Financial Stability Project, an interdisciplinary research initiative across Harvard and led by Greenwood that serves up real-time data for assessing financial stability in countries worldwide—information that researchers hope could help prevent a potential crisis. Regulations have also helped enforce resiliency, including a measure forcing banks to hold at least twice—in some cases three times—as much capital against potential losses. “The crisis provided the political will to create safeguards in the system that, even with deterioration over time, will protect us for a long time to come,” he says. An outdated regulatory system designed for the traditional banking system was one of a number of important factors that led to the 2008 financial crisis, Professor David Scharfstein says. “The financial system had evolved over 30 years from one in which most credit was provided by traditional banks to one where non-bank financial intermediaries played a much more important role,” he says. These less regulated intermediaries, which included money market funds, hedge funds, and investment banks, relied heavily on short-term funding, so when investors became concerned about the viability of these so-called shadow banks they were quick to pull their funding, which threatened their survival and destabilized the financial system. “The problem was compounded by the fact that competition from shadow banks threatened the profits of traditional banks,” he says. Based on his research with Antonio Falato of the Federal Reserve Board, Scharfstein says many traditional banks responded by taking outsized credit risk in an effort to boost short-run performance. In mid-2007, corporate lending began to decrease—a trend that accelerated during the banking panic in the fall of 2008, with new loans to large borrowers falling 47 percent during the peak period of the financial crisis. The cause, Professor Victoria Ivashina says, was not a lack of demand for corporate credit but rather a lack of supply. Once Lehman Brothers failed in September 2008, corporate borrowers drew down their revolving credit lines rather than withdraw savings—which is traditionally how we think about a run on the banks, she says. This made it appear as though the credit supply was expanding, because the run on credit looks like new loans being written on a bank’s balance sheet. In fact, Ivashina says, even after the publication of her 2009 findings with David Scharfstein on bank lending, many economists continued to hold on to that mistaken conclusion. Enabling better access to data would help. “There are elements of credit outside those in regulatory focus, and that data is not easily available,” she says, pointing to lenders in the shadow bank system. These entities provide services similar to traditional depository banking institutions but without the same regulatory structure, making data collection difficult and delaying the alarm bells that signal an oncoming crisis. In fact, some of the factors affecting the boom-and-bust cycles run as deep as human nature, he says, so “this is about designing a financial system that can save us from our own worst tendencies.” To illustrate, Hanson points to a paper he coauthored with Robin Greenwood that revealed lessons about the mix of firms that borrow money at a particular point in time. A perfect example is in 2006 and 2007, when banks were offering subprime mortgages to just about anyone and junk-rated firms were borrowing in droves. “When it looks like everyone has loosened their lending standards, that usually signals danger ahead,” Hanson says. But the reason this happens, he continues, is that as humans we are prone to bouts of overoptimism during good times and overpessimism in bad times. So how do you design a financial system around human nature? “I would want to build in extra margins of safety,” he says. As an example, perhaps financial firms should be more conservatively capitalized or have less leverage, knowing that from time to time they will take on more risk than they should.